First time here and was hoping for some help with a misfire. I'm not savvy with diagnosing and repairs, but I've tried with a few things. 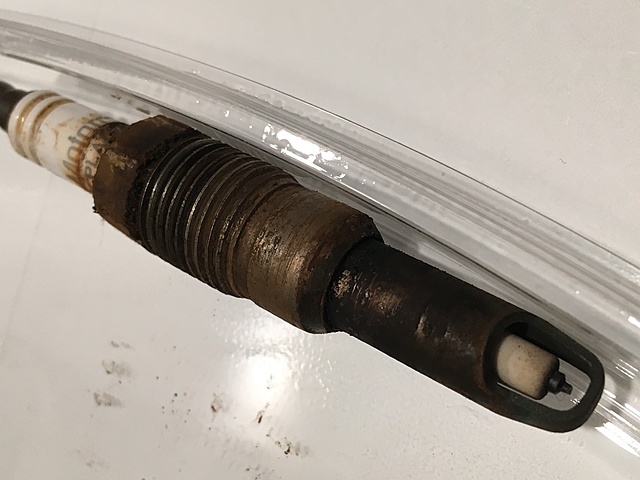 About a month ago my 2004 F-150 XLT Triton 5.4L (110k miles) started to misfire on cylinder 7. The code it was throwing was P0307. I thought it might be the coil pack since the plugs were replaced 10k miles ago with Motocraft SP515s by the Ford dealer, so I swapped it with cylinder 5 to see if I could follow the issue. It fixed the misfire and I no longer had poor acceleration or shuttering when accelerating. This worked for about a week and then it came back. This time the engine light was flashing and performance was terrible. The code thrown was the same code AGAIN even with the relaxed coil pack. It also was throwing code P0316. Since I'd didn't seem to be the coil pack I put a screwdriver up to the fuel injector while running and it sounded normal like all the others, a constant ticking/clicking. The odd thing is that when I pulled the coil pack, the boot had small condensation droplets that looked like water. I live in a cold climate with single digit temps and sometimes negative, but it didn't seem to evaporate which makes me wonder if it isn't something else. Anyways, I pulled the spark plug and it was really corroded and dirty. 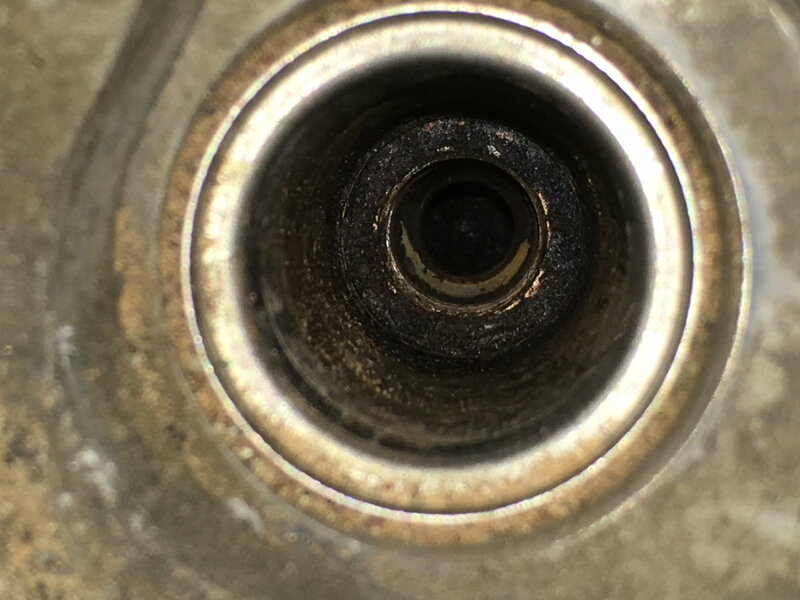 I was hoping someone could help me with maybe what's going on or provide some feedback as to this spark plug picture. Any help is greatly appreciated. check spring and boots of coil packs and replace, and also look up how to clean out the plug holes in the head with a wire brush. i have similar issues and will be doing that soon. new plugs about 15k miles ago, ran great, now misfires again. as far as the plug that looks pretty dirty for those miles....... not sure why? Like Reaper said.. replace springs and boots.. ensure to use dielectric grease on the boot ends.. this will seal out moisture. People over look replacement of the boots and spring when they do a plug change. Boom^^^ Do this and as stated don't forget the dielectric grease on both ends of the boot. Moisture will almost always give you a misfire. Clean tip area of carbon . Looks like you could have some blow by on that plug (loose plug ) . Clean cyl tip area with carb cleaner ,let evaporate to not hydro lock cly . That carbon causes problems . Blow by might put moisture on boot in extreme cold . You can damage plug installing it thru that build up around plug tip . You are supposed to use nickle anti seize on tip . It is rated at 2400 degrees . It can be had on amazon . Use dielectric grease on each end of new boot . You must torque these plugs in 25 to 28 pounds . All by hand, no power tools . Don't torque by feel use a torque wrench . Loose plugs are common on this engine . Double check them . Of course you should blow out each cly with air before you pull plugs . Don't want sand etc getting on piston. Change them before 50k . Start plugs by feel with your fingers these are alum threads and are easily damaged . You are supposed to use nickle anti seize on tip !! You better make that a little bit more clearer for him.. I pulled the spark plug and it was really corroded and dirty. I was hoping someone could help me with maybe what's going on or provide some feedback as to this spark plug picture. Any help is greatly appreciated. Clicking on your photo and Zooming in real close reveals: The cone shape seat does not even show normal scraping from the loosening process, and carbon discoloration is visible all the way up the threads and even on the ceramic. The bottom of the Hex Nut portion right at the top of the threads clearly shows carbon deposits or baked on debris from the spark plug well. I would add to @redfishtd 's recommendation: Clean the spark plug seat at the bottom of the well to insure good seat and properly torque the new plug insertion. I believe that IS where the condensation on the boot was coming from - and that will ruin one fairly quickly. Probably should be replaced like everybody is suggesting. The anti seize is only applied to the barrel of the tip not in the spark area (tech rep is right to make me clarify this ). F150T believes the carbon clean out should stop misfires and he does not like anti seize on plugs . He piloted this theory and I signed on as well as others .He is right the carbon and or anti seize changes the heat range of the plug by over cooling it with contact with head . And carbon can easily break the plug forcing it thru old carbon . Changing the plugs often and cleaning holes is super advice . As long as you do this with the new mc plugs you don't need anti seize . I'm just stuck in my old ways . I was bit by the the original mc broken plug scandal so I still use it even tho the new plugs are welded and don't break so easy . I clean the holes with carb cleaner and change plugs before 50 k but I still use a small amount of anti seize . I don't believe burning any additive will get that carbon out, I tried it failed . Always use dielectric grease on each end of new boots ,stops heat seize and moisture . If you have any misfires I would check torque on all plugs, any loose ones have to be replaced including boots in my opinion . If you have trouble with one it goes to figure all are suspect . And the hard ones may be the worst . Some shops will not bother to change the hard to get ones let alone use a torque wrench ,their time is money . 1) Clean out the plug well that has a lot of carbon buildup with carb cleaner and use a wire brush? 2) Buy a new Motorcraft SP515 plug, a new coil pack that has new spring and boot attached (my current ones are the original glued on boots), apply a small dab of dielectric grease (https://www.amazon.com/dp/B000AL8VD2..._gYHHybNVDP538) to the bottom of the boot/spring, and if not cleaning out old carbon with carb cleaner I would apply a small amount of nickel anti-seize like this (https://www.amazon.com/dp/B0002UENJ2..._G1HHybG05V7ZD) around the threads and around the smooth shaft below the threads taking care not to be liberal with it and not coat around the band/strap that covers the platinum tip, and to set the torq wrench to 25-28 lbs because the threads will have anti-seize on them (without anti-seize I think it's 14 lbs. I guess my biggest question is how to clean out the plug well with carb cleaner. If I use a wire brush, won't the particles fall down inside the well and to the piston causing more problems or will it just burn off? What kind of brush should I get? How should I apply the carb cleaner? Spray it into the well or to a rag/papertowel first and then wipe it inside the well? If I do or don't clean all the old carb off, wouldn't it still be safe for me to apply the nickel anti-seize just to make sure it goes in easy without binding the threads and making it easier to take out in the future when replaced?